What happens when you put 1-metre high movable foam letters in a large open area? 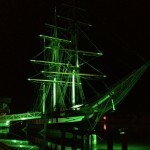 People will do what they want and take their own meaning from them. 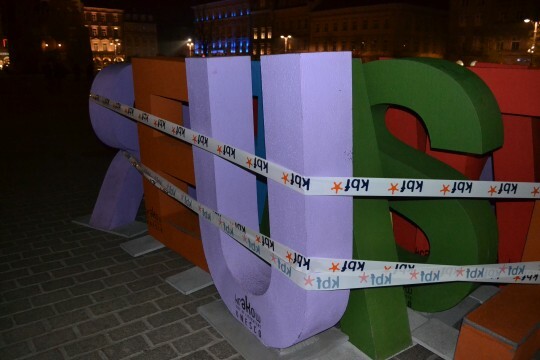 Krakow, Poland was named UNESCO City of Literature on 21 October 2013. 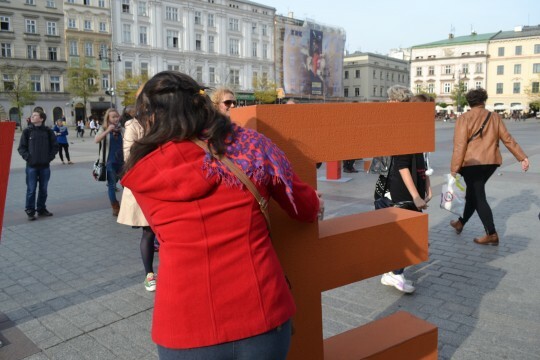 On 25 October they placed these metre-high letters originally spelling out Krakow Miasto Literatury UNESCO (Krakow, a UNESCO City of Literature), were put up in the Market Square on 25 October 2013. This is what happened. 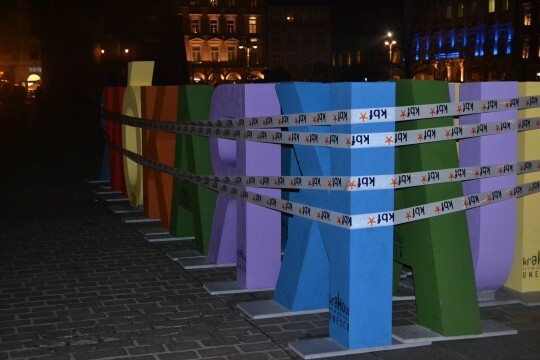 Night of 25 October – Letters nicely packaged to spell Krakow. 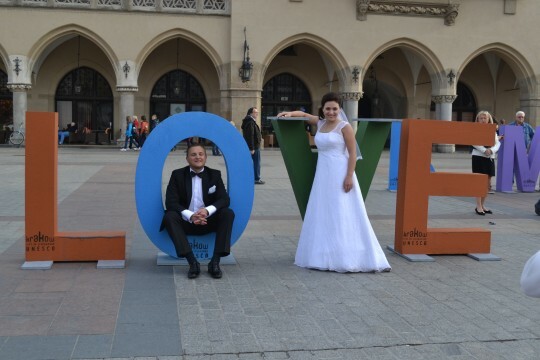 Morning of 26 October, a newly-married couple getting wedding photos taken pose in front of some letters – even inverting one to spell L-O-V-E. 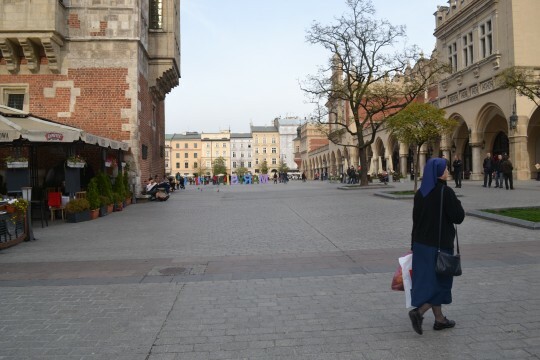 The letters from a distance in the main square in Krakow. 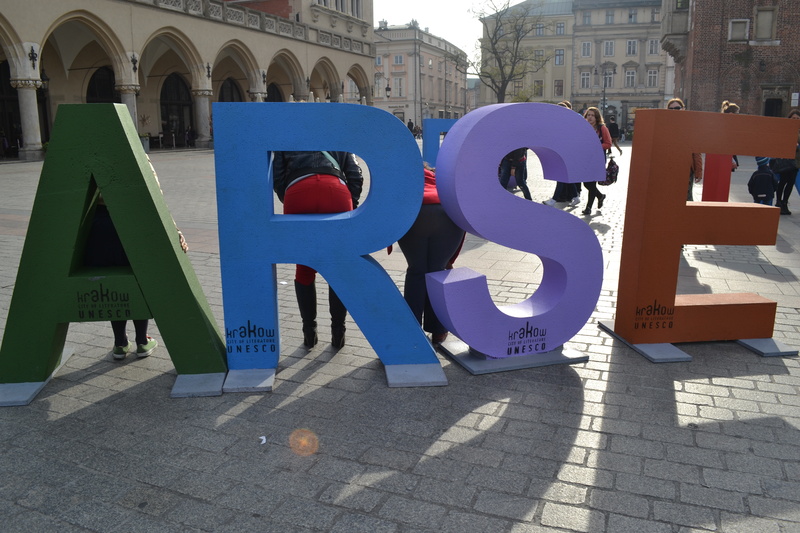 People moving the letters around, in order to take their photos behind the words or letters that mean something to them. And finally, when you put people in control you never know what they’re going to do. Moral of the story – don’t give people control of letters or words without instruction! And remember you’ll have to clean up the mess – the last photo is of the letters on the night of 26 October, no longer in the tidy order they had been. * edit – I’ve been asked to clarify that the wording A-R-S-E is inevitable when there are Father Ted fans on the loose. 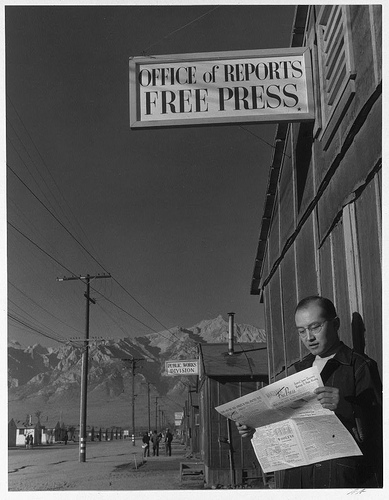 What does the word 'style' mean to you?